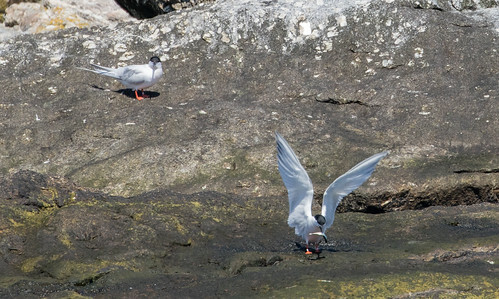 A few days ago, I wrote about our smallest tern, the Least Tern, and since one good tern deserves another, I decided today to write about the Roseate Tern. 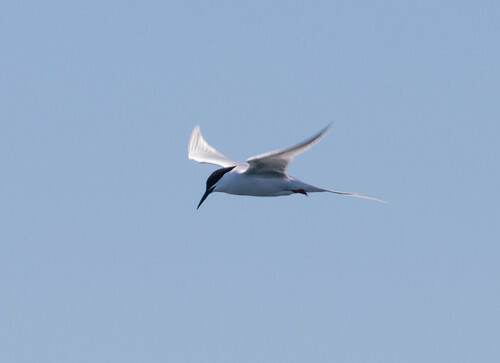 When I was in Maine earlier this month, I was hoping against hope to see one, partly because I missed seeing a single one on my 2013 Conservation Big Year even though it’s a species in serious trouble that deserves to be highlighted, and because it is so exquisite, the whitest of all the medium-sized terns. 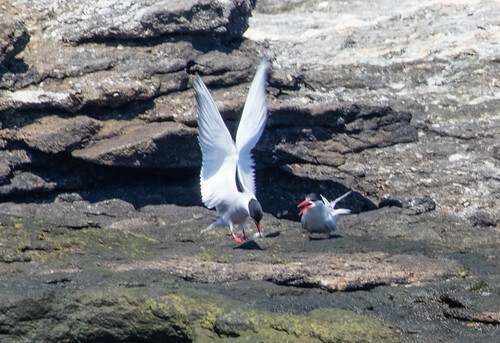 Roseate Terns are primarily tropical, breeding in tropical oceans around the world, and reaching into the temperate zone only in scattered breeding colonies in the northern Atlantic. I saw my lifer on Long Island in New York in June 1993. Arthur Cleveland Bent, primary author of the series, Life Histories of North American Birds, wrote in 1921, "I shall never forget the thrill of pleasure I experienced when I held in my hand, for the first time a Roseate Tern and admired with deepest reverence the delicate refinement of one of nature’s loveliest productions.” The bird he was holding in his hand happened to have been killed by him—collected for science. Roseate Terns paid a tragic price thanks to shooters, far, far more for decorating women’s hats than for science. 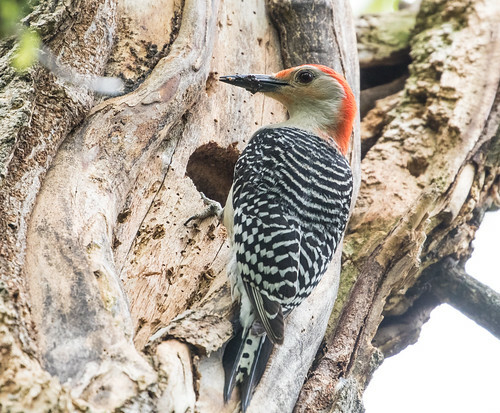 The trade in wild bird feathers has been illegal for generations, and many more safeguards have been put into place even for scientific collecting, thanks to the Migratory Bird Treaty Act. 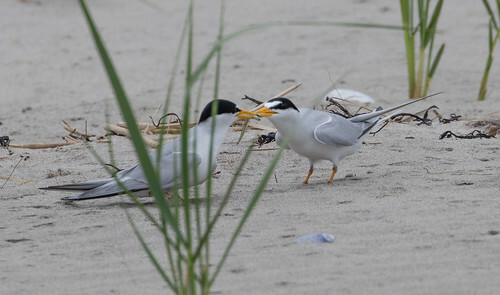 Recovery has been slow, habitat loss still a problem because the beaches where many terns breed are under such heavy pressure for recreation and development. The population here is nevertheless recovering much faster than that in the Caribbean, where eggs are still collected because they’re believed to have aphrodisiac qualities. 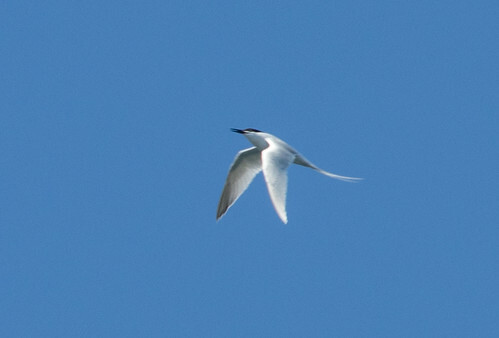 Despite the problems, individual terns are surprisingly hardy. 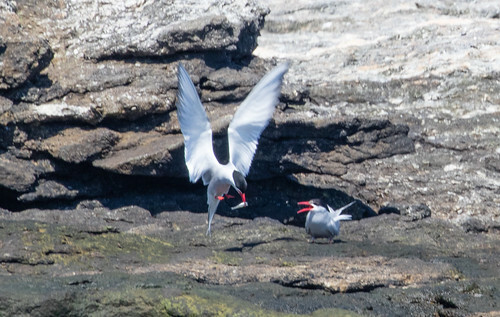 The oldest Roseate Tern known to science was at least 25 years, 8 months old when it was recaptured and rereleased during banding operations in Brazil in 1997. 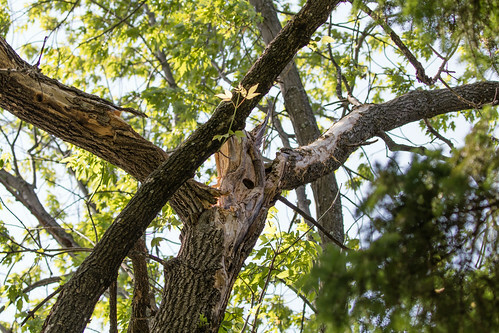 It had originally been banded in Massachusetts in 1971. 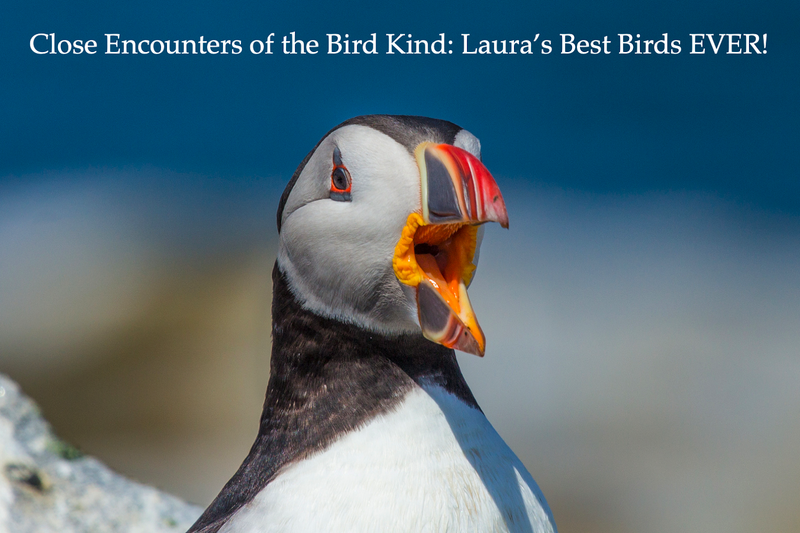 I was an instructor at National Audubon’s famous Hog Island in Maine this spring, and got to go on one of the boat tours of Eastern Egg Rock, the small island where Steve Kress devised his amazing Project Puffin, using decoys and puffin sounds to lure Atlantic Puffins back to nesting on the island—they’d been extirpated from almost all of Maine’s islands by egg collectors, hunters, and market shooters. Now the puffins on Eastern Egg Rock are thriving, as are some other species, including Arctic and Roseate Terns. 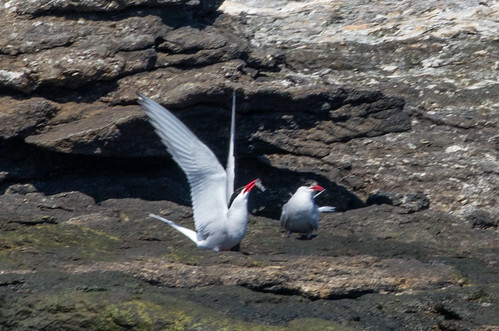 So I figured this was my one shot at getting photos of both species, but especially Roseate Terns. Sure enough, from the boat I got one series of photos of courting Arctic Terns. 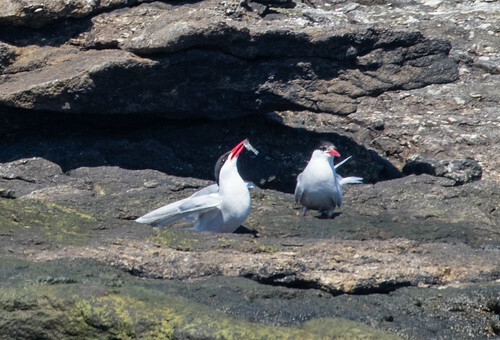 I also got several shots of Roseate Terns, including a couple of courting pairs. 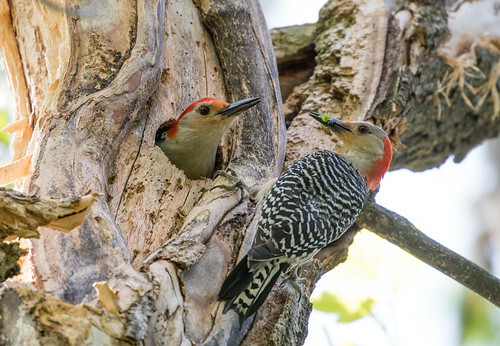 All were from a distance so had to be severely cropped to make the birds appear closer—none of these photos will appear in magazines or anything—but they did turn out reasonably well, all things considered, and are the best I’ve taken of either species so far. My camera lens is the new model of Canon’s 100-400 mm zoom lens; the image stabilization is wonderful, and my new camera body (Canon’s 80D) has a wonderful sensor giving a wondrously detailed 24 megapixels. 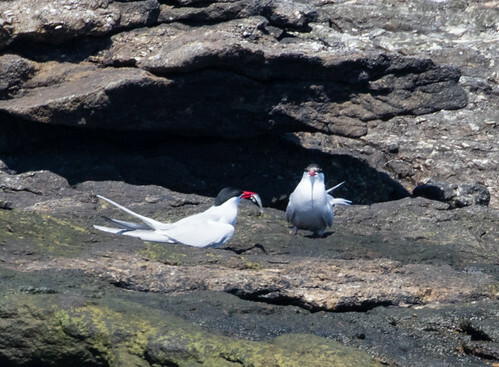 Although I was there at the peak of breeding season, I wasn’t close enough to see any of the pink suffusion that gives Roseate Terns their names. 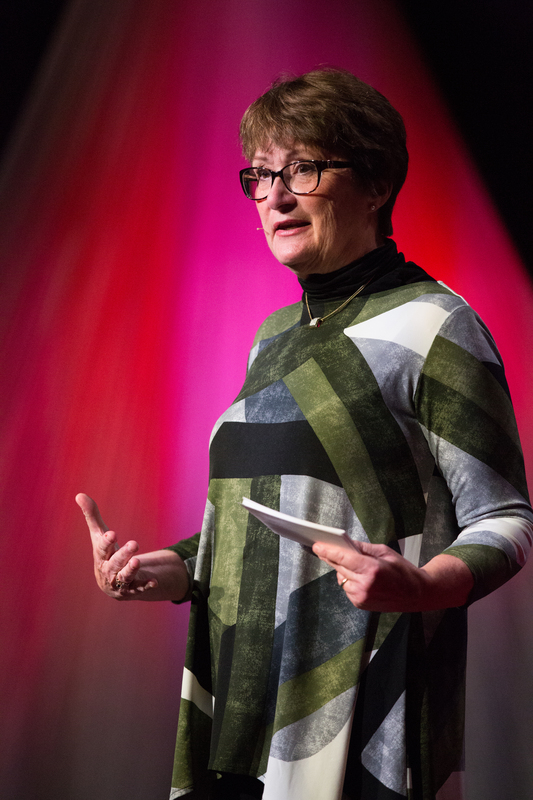 Fortunately, I’ve already been invited back to Maine for next year, to keynote at two birding festivals—the LL Bean Birding Festival and Acadia Birding Festival. So next year I’ll be back, with several days between festivals to try to have a closer experience with Roseate Terns. If one good tern deserves another, it also deserves a closer look . In June 1976, Russ had a professional meeting in Savannah, Georgia, and I tagged along to go birding. I had only been a birder for a little over a year and never anywhere near a coast, so my focus was entirely on seeing what I could find. Russ let me set our agenda during our free time, asking only that we spend a little time at one spot I wouldn’t have chosen—Fort Pulaski National Monument. I tried to be gracious about it, but when we went inside, I was overcome with an overwhelming sadness—the very air seemed oppressive, in exactly the way I felt when we visited the Alamo. I couldn’t take it but didn’t want to dampen Russ’s enjoyment, so I stepped outside to stroll around the grounds a bit. 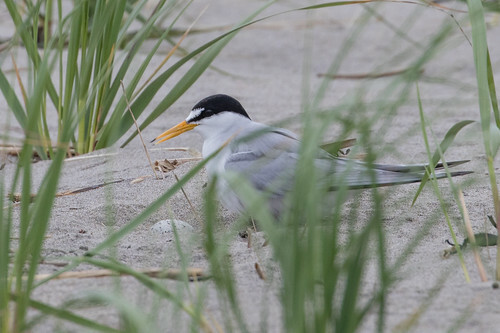 That’s when I saw my lifer Least Tern—both a splendid bird and an important milestone—Number 200 on my lifelist. This tiniest of all terns, lovely and graceful, nests on sand beaches and occasionally stony flat rooftops. 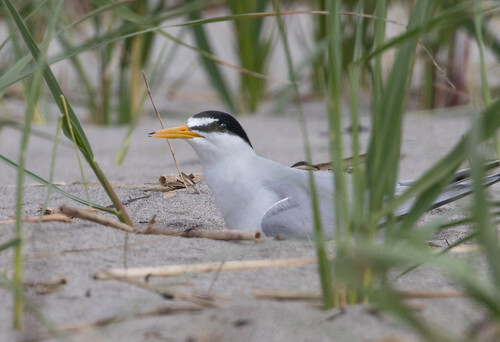 This was the peak of the nesting season, but I didn’t know enough about Least Terns back then to even think to look for the nesting area. Instead, I stood, transfixed, watching several of these dainty birds catching fish in the moat around the fort. For both Russ and me, that afternoon proved to be one of the most memorable of our trip. 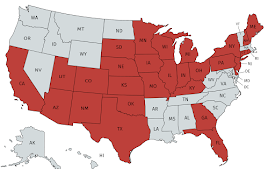 Since then I’ve seen them in California, Delaware, Florida, Georgia, Iowa, Maine, New York, Oklahoma, South Carolina, and Texas. I missed a Duluth sighting in 1986. 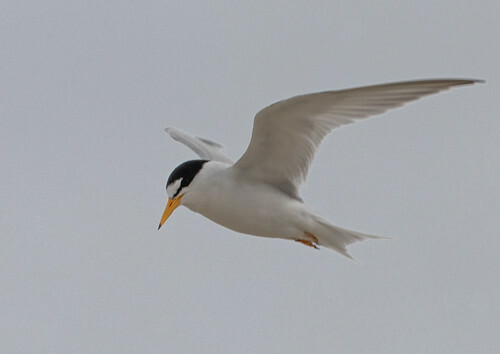 Least Terns are widespread and common here and there along the coasts and rivers of the United States and a bit of Canada. 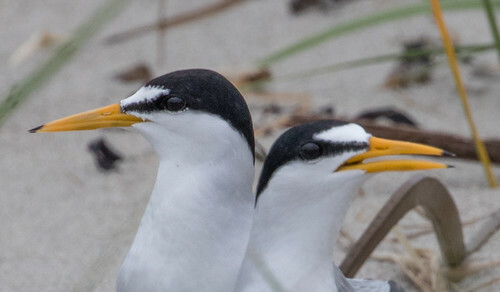 They require sandy beaches and spits for nesting, which are also among the areas people use for recreation, residential and tourist development, and water diversion, so it’s small wonder that the North American Breeding Bird Survey data show that Least Tern populations declined by about 88 percent between 1966 and 2015. 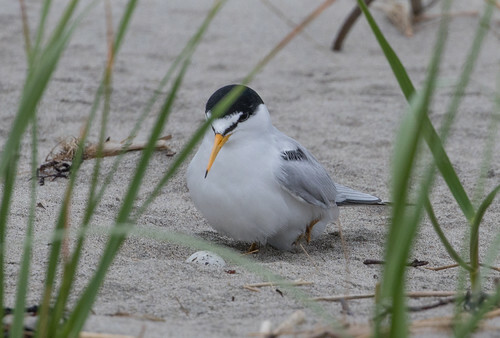 The North American Waterbird Conservation Plan lists Least Tern as a Species of High Concern, and the species is on the 2016 State of North America's Birds' Watch List. 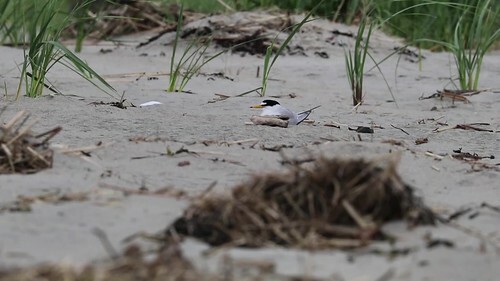 Least Tern is classified as threatened, endangered, or as a species of concern for most states because of loss of nesting habitat, and the interior population has been federally listed as endangered since 1985. 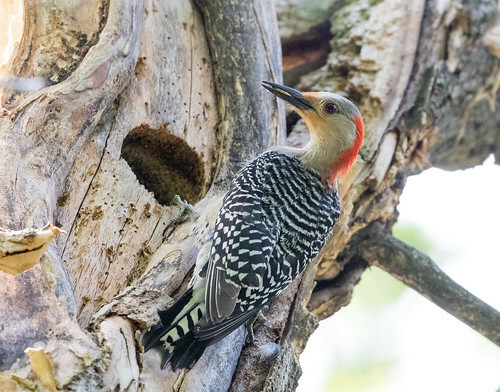 Fortunately, when individual birds find a satisfactory spot to nest, they don’t seem to realize they’re imperiled—they go about their business and hope for the best, pretty much as we all go through life. 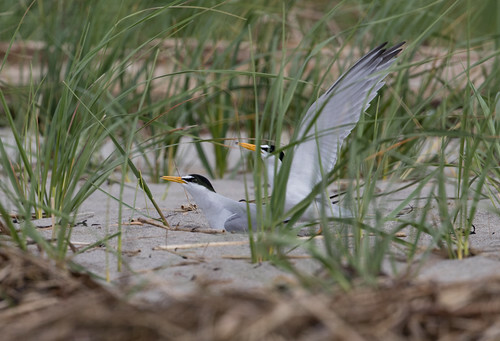 Indeed, the oldest known Least Tern lived to be 24 years old. It had been banded in Massachusetts in 1957, and was killed by a predator in New Jersey in 1981. 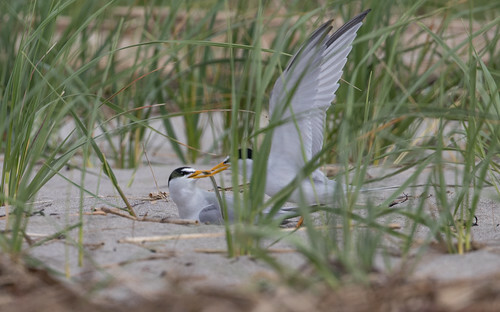 Russ and I spent a splendid day with Least Terns at Popham Beach State Park in Maine a couple of weeks ago. This beach provides lots of recreation for people while setting off a wonderful swath of habitat for Least Terns and Piping Plovers. 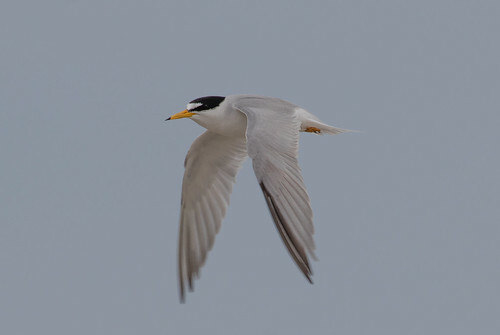 I counted a bare minimum of 25 Least Terns that day. The fairly large numbers meant that some of the birds had to nest closer to the edge of the roped off area than others, and two pairs were nesting close enough for me to photograph. Both of them had so far produced a single egg. A complete clutch may contain just one egg but more often 2 or 3. 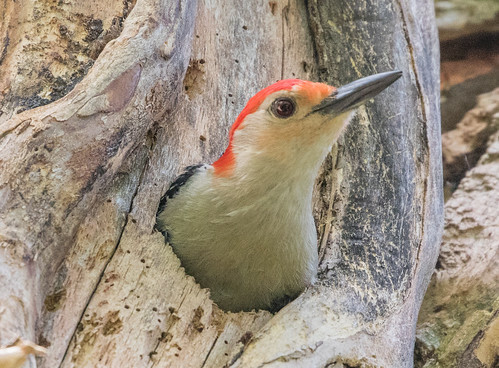 According to the Birds of North America Online, incubation begins after the first egg is laid but nest may be inconsistently attended until the clutch is complete. I did see both females incubating their single egg, but also saw them standing a short distance away, so these eggs were probably laid that very day or the day before and the birds will probably produce one or two more. I saw males fly in several times to deliver fish, and got photos and even video of this happening with the two nearby females. 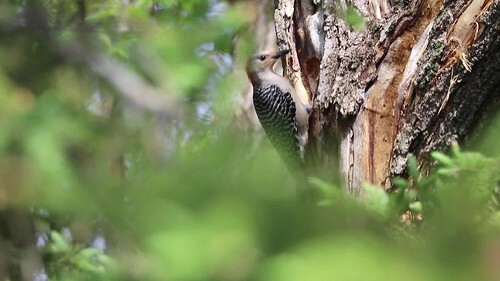 It was so thrilling to see courtship behaviors and flying and roosting and nesting birds. I'll enjoy the pictures and videos for years, each one bringing back to me yet another moment of the lovely day Russ and I spent with them. 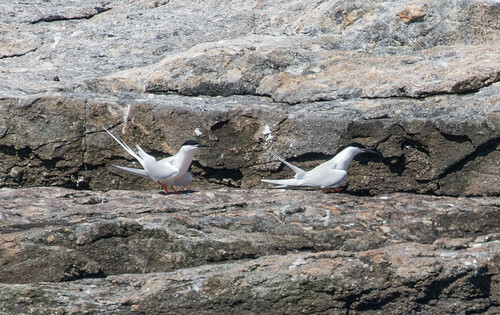 In June 2013 during my Conservation Big Year, when I still needed to see an endangered Roseate Tern, I learned that I had a good chance of seeing one or more feeding at Popham Beach State Park in Maine. Sure enough, I saw one there—the only Roseate Tern I saw all year—but that listing conquest was vastly eclipsed by something more wonderful than I’d imagined. Of all the places I’ve birded, this one fairly small state park has managed an impossible feat: it provides a splendid public beach for people while also setting aside an ideal section for nesting Least Terns and Piping Plovers. 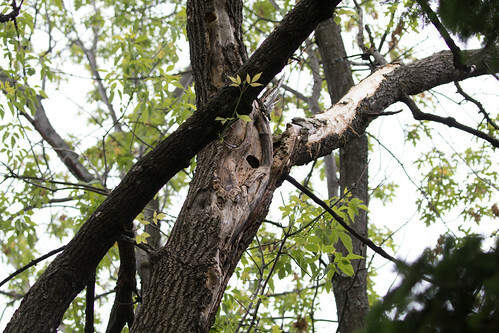 I was thrilled to get photos of both species, but even more thrilled to observe first hand how well managed the park is. The parking area leads directly to the bathhouse, and signage and sidewalks from there lead directly to the public beach. 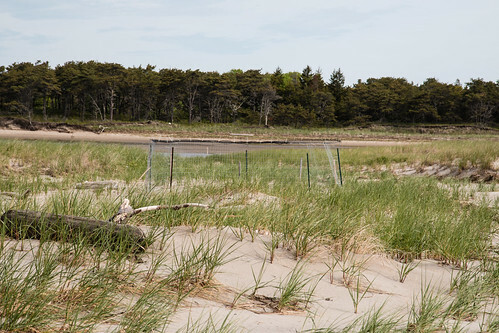 To the right, there’s a large swath of roped-off habitat above the tideline with the right amount of beach vegetation to make it perfect for nesting birds, but the set up keeps anyone not specifically interested in seeing those birds away from there. Dogs aren’t permitted on any part of the state park beach, but are welcomed nearby on another easy-to-get-to stretch of beach. I’ve seen Plovers occasionally feeding at the water’s edge there early in the morning before dog walkers arrive, and that's exactly where I saw a Roseate Tern catching fish in 2013, but the property above the tideline is too developed for nesting regardless of the dogs. Russ and I got to a few days together in Maine during the second week of June this year, and the place I most wanted to show him was Popham Beach State Park. 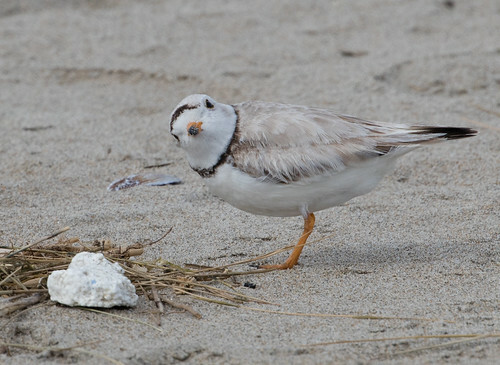 Like me, Russ is a sucker for adorable little birds, and Piping Plovers fit the bill. 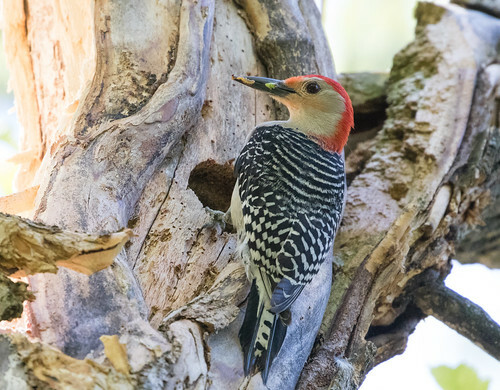 They’re extremely vulnerable to human activity and development, and because suitable nesting areas are now so few and far between, and so small, a single gull, crow, skunk, or raccoon can devour every egg and chick in a colony in a matter of days. This is natural predation, of course, but the same human activity that hurts populations of specialist species such as plovers and terns has benefitted populations of omnivorous generalists. 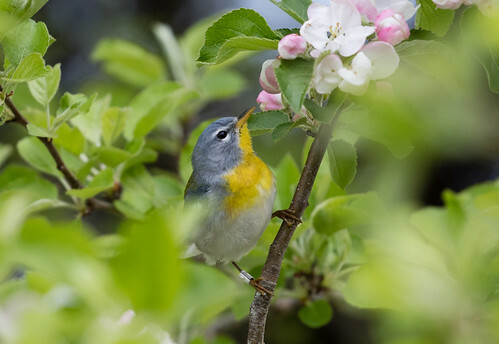 As responsible human beings, we need to figure out ways of helping the birds survive the nest predators we ourselves are subsidizing. We have an even more urgent responsibility to protect them, in what tiny remnants of habitat remain, from our dogs. Even the most well-behaved retriever can inadvertently trample eggs and chicks. 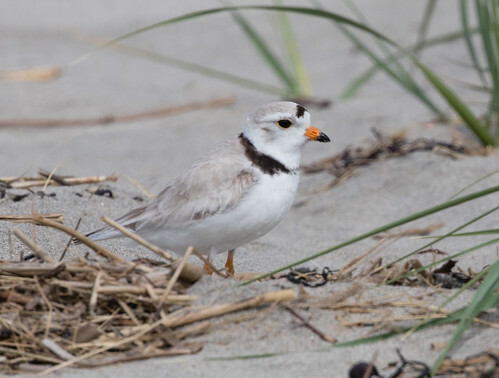 Fortunately, when researchers know where a Piping Plover nest is, they can construct a little enclosure around it that blocks out crows and gulls from above and skunks, raccoons, and dogs from walking or digging in. These don’t work for Least Tern nests, because terns come and go on the wing, but the mesh is just the right size for the tiny plovers to walk right through. 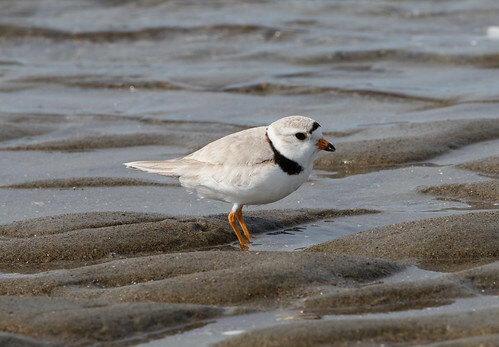 In most places I've seen Piping Plovers, they flush when any person is still quite a distance away, but they seem exceptionally tolerant at Popham Beach State Park, probably because of their longstanding protection there. I’ve watched birders and photographers approach very close to them without spooking the birds. I have a 400-mm lens on my own camera, so I’m happy to hold back, but a few times on this and my last visit, when I’ve stayed in one spot far from a plover, it’s wandered closer and closer to me on its own. 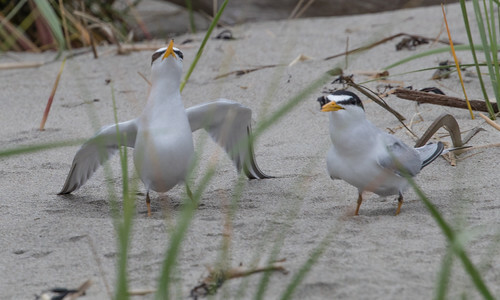 So both this year and in 2013, I got lots of photos of terns flying over and plovers feeding on the beach. Both last time and this time, the plover nests, easy to recognize by the large enclosures, were too far from the barrier ropes to see inside. This time a few tern pairs were nesting close enough for us to get great looks at mothers incubating eggs and fathers bringing them fish. 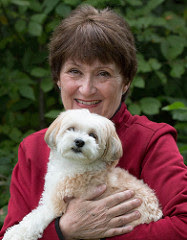 Maine is the most dog-friendly place I’ve ever been, with bookstores in Acadia National Park and other birdy places carrying titles about hiking and enjoying other outdoor activities with dogs. Like Park Point in Duluth, there is plenty of sandy beach below disturbed habitat—exactly where people and dogs can play without intruding into the tiny remnant of habitat still suitable for nesting plovers. But unlike Duluth, Maine dog owners seem willing to keep their dogs in the areas where pets are welcome. We belong to the one species that claims all the rocket scientists in the universe. We’re supposed to be the smart ones who realize that some species have different needs than others, and we’re supposed to be the ones who understand ethics and empathy as well as ecology. 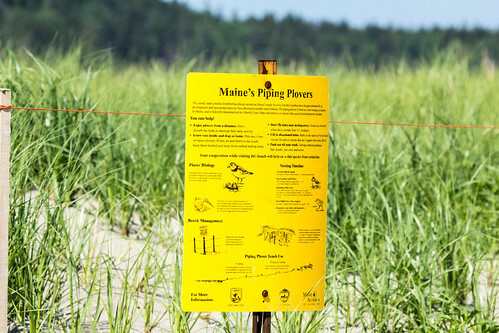 Ironically, during our time in Maine, the one migrating Piping Plover that turned up on a well-marked area in Duluth was immediately chased away by an off-leash dog. The Duluth News-Tribune published a letter to the editor titled “Piping plovers should get used to humans,” by someone who apparently feels entitled to do whatever he wants anywhere he wants, and believes it's the job of endangered species to adapt to his pleasures, not his to adapt to their needs. 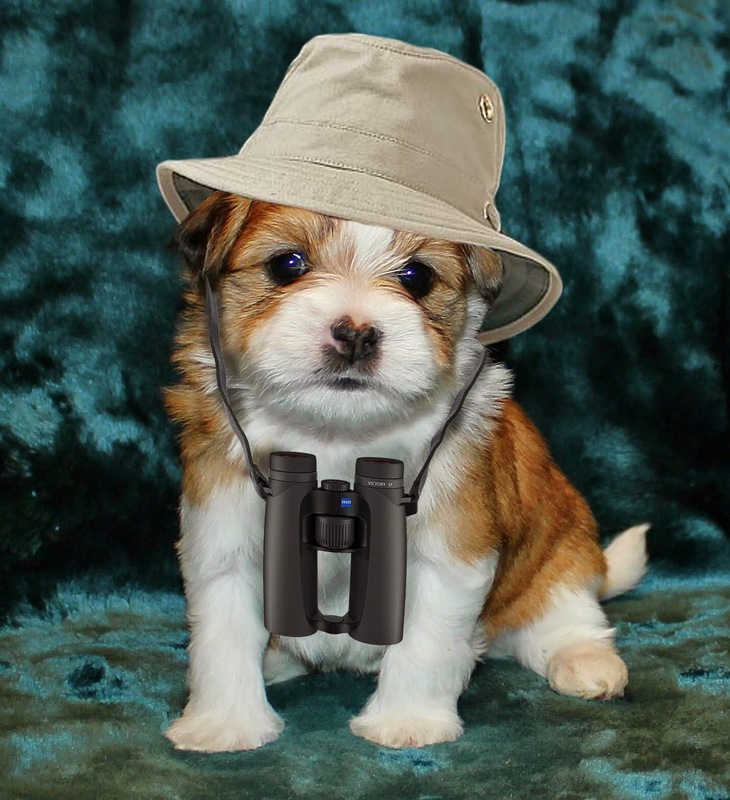 I long for the days when Americans were willing to limit their fashion choices and outdoor activities, from hunting and fishing to letting their dogs run wild, to protect wildlife for future generations. In this age when instant gratification and personal pleasure trump other concerns, apparently it’s not even embarrassing or a social faux pas to publicly gripe about giving up playing on a tiny stretch of beach to serve the fundamental needs of an endangered species. 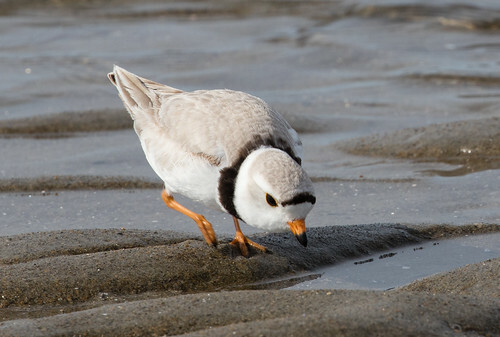 Are we dooming our children and grandchildren to life without Piping Plovers? 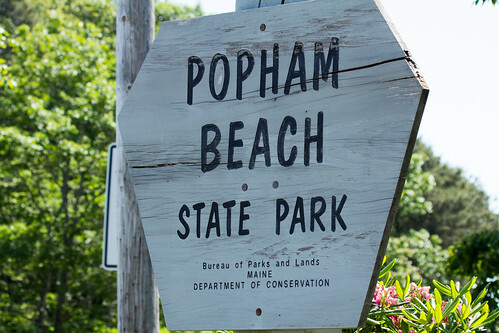 Thanks to the stewards of Popham Beach State Park and the cooperation of beachgoers and dog owners in Maine, children there may continue to enjoy these national treasures long after more short-sighted Duluthians have squandered our own childrens’ legacy forever. Last week and this week I'm working as an instructor at Hog Island Audubon Camp in Bremen, Maine. 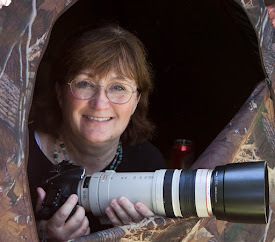 Last week I was helping with the Breaking into Birding class, and this coming week I'll be doing the Joy of Birding class with lots of other instructors. This morning was quiet, with the new instructors not yet here and most of the staff gone, and there was no wind, so I made some sound recordings. 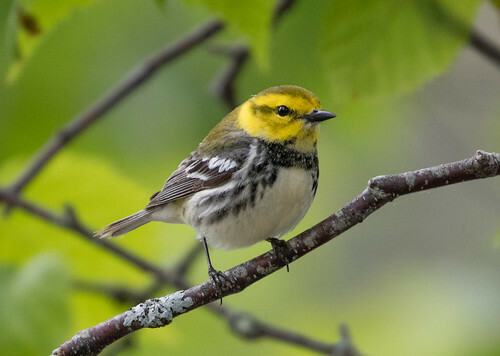 There are lots of warblers on both, with Northern Parulas and Black-throated Greens especially noticeable. I've been photographing both species here all week. I made the first ambient sound recording in a slightly boggy area at about 7:20 am. It lasts about 12 minutes. I made the second one near my cabin at about 8:30. This one lasts about 37 minutes. On the page for each recording, I list all the species I noticed. 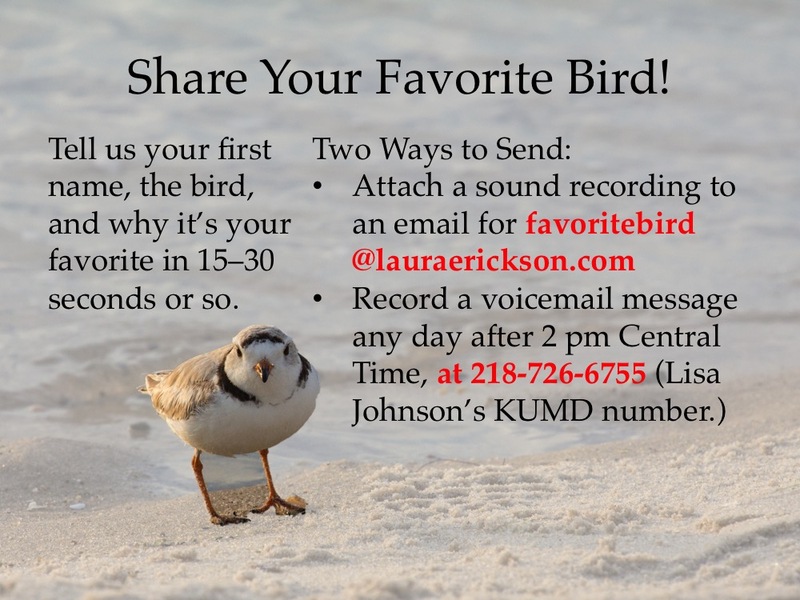 Let me know if you hear any birds not listed!